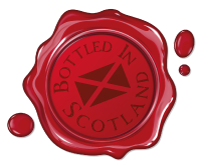 Bottled in Bonny, Scotland, it is said that Rumburra owes its discovery to one wild, Scottish buccaneer. This 17th century privateer was none other than William Kidd. As the tale goes, Kidd sailed into the Caribbean, pillaging ships in search of Silver & Gold. But gold isn’t all a pirate would hope to find. It is said that Kidd had a secret loot of exotic rums, taken from his plunder from his adventures in Barbados, Trinidad, Jamaica and Guyana. A wanted man with a disgruntled crew, Kidd ran short of places to hide. Captured by the English Crown and sentenced to hang for piracy, Kidd’s pillaging came to a deathly end. They say dead men tell no tales but throw a tale to the waves and it can end up anywhere. Little to Kidd’s knowledge, his secrets were unexpectedly discovered upon the wet shores of Burra. And this is how a sea weathered recipe, telling of rums from exotic lands, ended back in Scottish hands. Todays Scottish pirates are the Wilson Macintosh clan, thanks to this clan with their punch and drive to discover this hidden liquid golden secret you can now enjoy what men and women have enjoyed hundreds of years ago. Never stop imagining what is possible. Raise a glass to those gone before us and to those in the present.